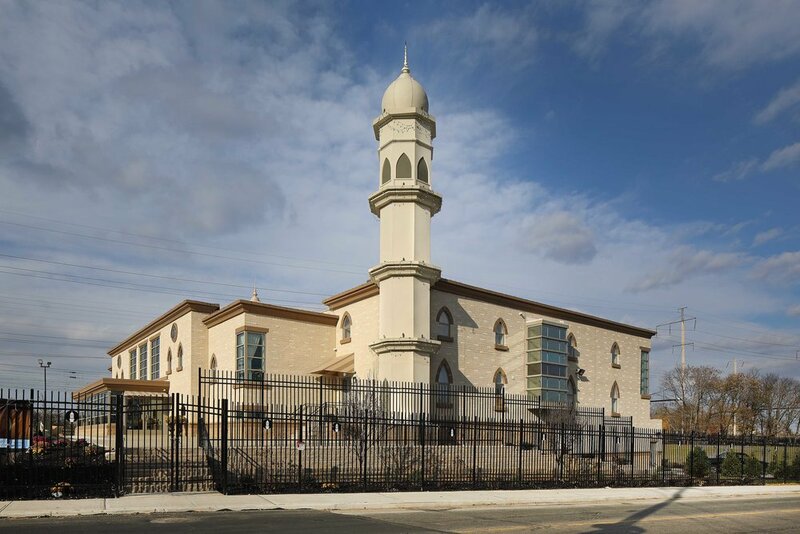 Olaya Studio was commissioned by the Ahmadiyya Muslim Community to design a new 21,500 square foot mosque. 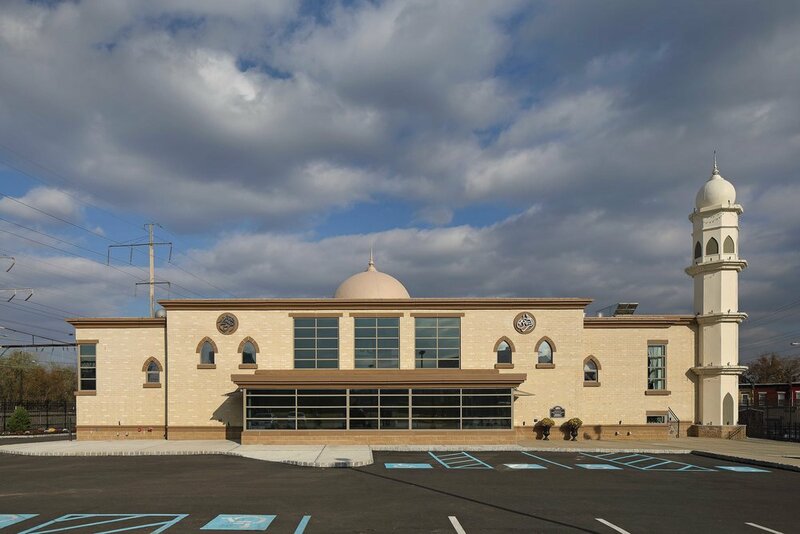 This is the largest and first purposely built mosque in the city of Philadelphia. 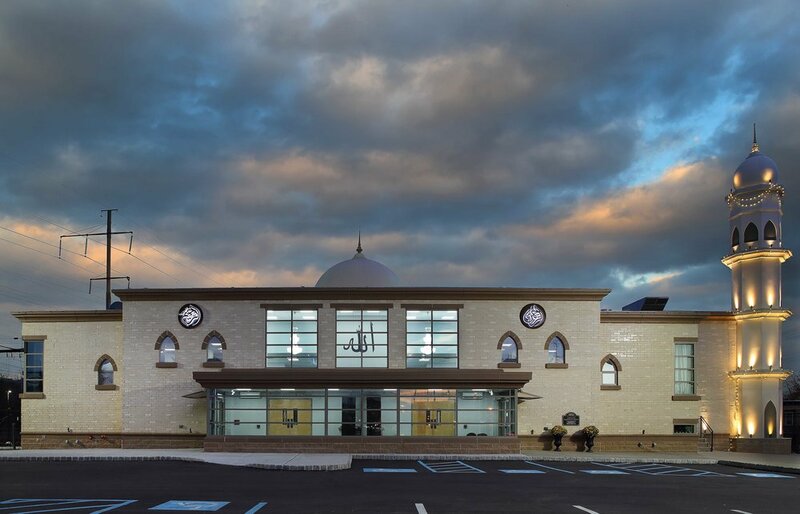 The two story building contains two large large men’s and ladies prayer areas, a multi-purpose hall, a full service kitchen, and a private apartment for the Imam and his family. The circulation throughout the building was thoughtfully designed to provide equal amenities for both men and women, but in keeping with the Muslim traditions, the two genders are visually separated at all times. The 56 foot tall minaret design is inspired by the White Minaret in Qadian, India and is the symbol that distinguishes the Ahmadiyya Muslim Community.